Keyla has been involved in the dental profession for over 5 years. She is very knowledgeable about dental insurance policies and keeping patients informed about their coverage. When you walk through the door, her bright smile and rosy cheeks are the first thing you notice. She makes sure all your questions are answered and all information is explained to you. Keyla also makes sure that the schedule is run accordingly and that patients are seen in a timely manner. Keyla enjoys spending time with her son and family during her spare time. 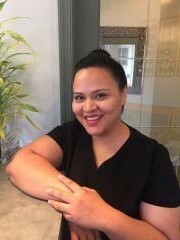 Marta has been working in the dental profession for almost 14 years and has a wide variety of experience ranging from insurance billing, scheduling and assisting with dental procedures. She was an employee of the previous owner and remained on board to be part of Dentistry with Monique. Marta has a warm, caring persona that makes patients feel comfortable in the dental chair. She is also willing to answer any questions or concerns that the patient may have. 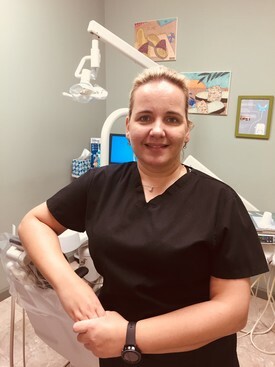 Marta originates from Poland where she studied to be a teacher; therefore, she especially enjoys working with young children and making sure that each dental experience they have is a fun, exciting one. Marta has a loving family that supports her being a working mother. She enjoys traveling and watching a good movie on her spare time. 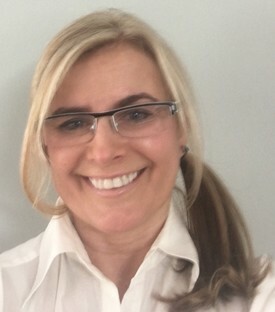 Iwona is our dental hygienist with over 20 years of experience. She was born in Poland, where she studied biology. In 1996 she graduated with honors from New York City Technical College as a dental hygienist. Iwona's greatest inspiration for her career in dentistry was her late brother, whose dream was to be a dentist. She is the proud recipient of the highest honor for academic and clinical proficiency in dental hygiene- The Albert H. Stevenson Award. 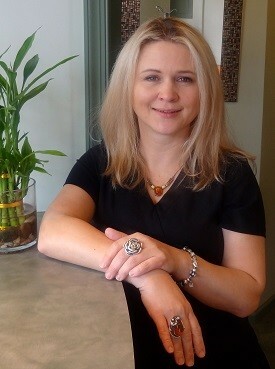 Iwona is a highly skilled dental professional who works alongside Dr. Monique to provide full oral healthcare. She is very passionate about her career; therefore, she provides each patient with the knowledge they need to keep up with their oral health and prevention of dental disease. Helping her patients is her number one priority. It brings her great satisfaction to see her patients have a clean, happy, healthy smile. Iwona has a very gentle, caring personality which also shines through in her work. Iwona is the proud mother of two sons and is a big animal lover. In her free time, she enjoys exploring new places with her family and friends. Agnieszka is one of the assistants in the back and helps Dr. Monique during procedures. She makes sure every patient has a comforting experience. She is there to share a good laugh or hold your hand if necessary. Agnieszka also helps answer any questions that you may have, especially when it comes to procedures and any post operative home care that is necessary. Her positive energy spreads through the office and there is no task she cannot handle. On her free time, Agnes enjoys going camping with her husband and two children. She enjoys the outdoors, especially going fishing.